Glaciers have been distinctive features of the Icelandic landscape ever since human settlement on the island 1200 years ago. 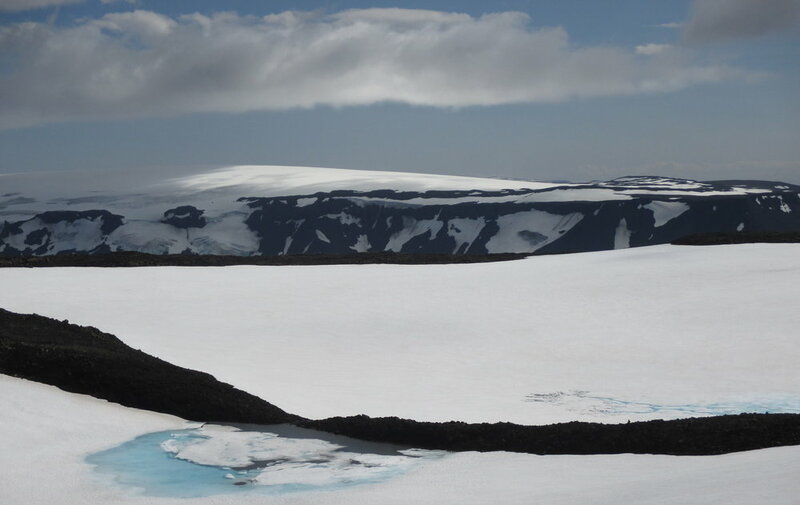 But since the early 20th century Iceland’s 400+ glaciers have been melting steadily, now losing roughly 11 billion tons of ice every year; scientists predict that all of Iceland’s glaciers will be gone by 2200. 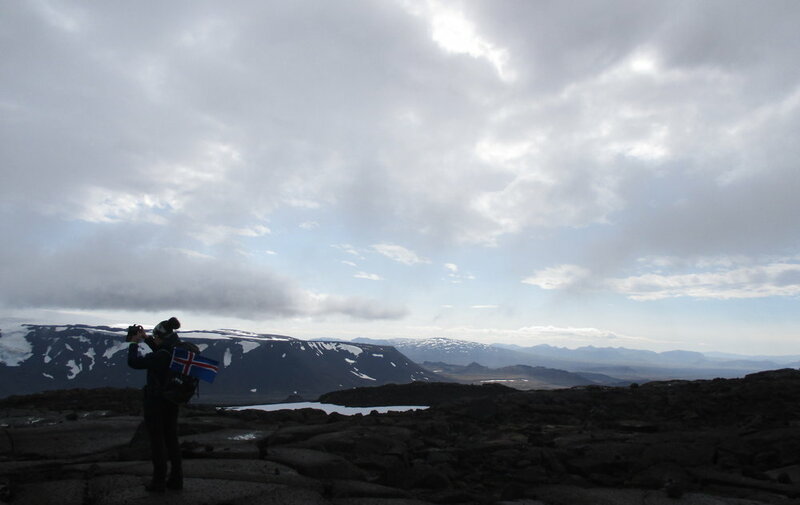 One of Iceland’s smallest known glaciers is named “Ok.” Not Ok is its story. This is not a tale of spectacular, collapsing ice. Instead, it is a little film about a small glacier on a low mountain--a mountain who has been observing humans for a long time and has a few things to say to us. 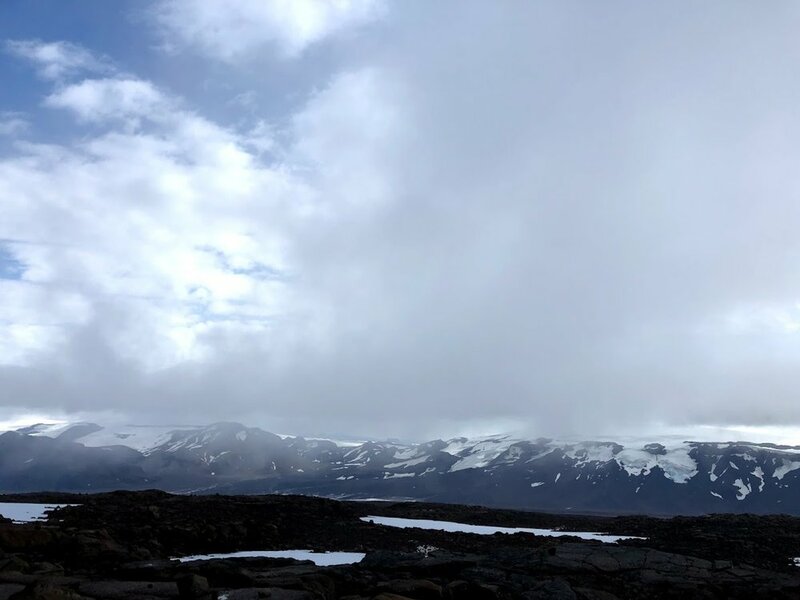 Menil & Rothko Chapel, St. Thomas University “Toward a Better Future: Transforming the Climate Crisis"
The Un-glacier Tour in late August 2018 was a hike to the top of Ok mountain and a chance to see the glacial remains of Okjökull (Ok glacier) before it disappears entirely. As anthropogenic climate change drives glaciers toward extinction, the Un-glacier Tour was both a ritual of mourning and memory as well as a celebration of glacial life. In the summer of 2019, there is a plan afoot to install a historical marker and memorial plaque on a stone to commemorate where Ok glacier once was. This will be the world's first monument to an Un-glacier--a modest recognition of a body of ice that once moved, but that now exists only as what Icelandic glaciologists have called "dead ice."